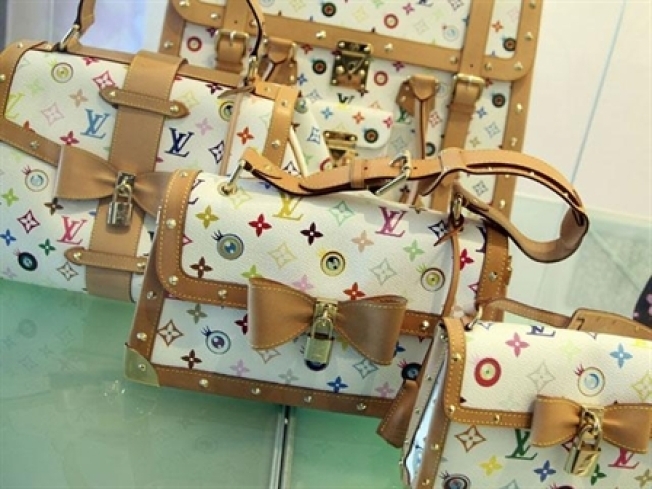 Louis Vuitton to Buy Coach? Remember mergers and takeovers, back when people had money to buy entire companies? Well, there's plenty of juicy talk over Louis Vuitton buying Coach after Friday, where 13,800 calls changed hands in the first hour of trading, according to OptionMonster. "The high-end apparel and accessories maker suffered a 14% drop in quarterly profit compared with the same period last year, and we're hearing chatter from the hedgies that LVMH may be considering some kind of deal," reports thestreet.com. “The company doesn’t comment on market rumors,” Coach rep told WWD. LVMH executives declined comment as well. Although Coach has been the target of merger talks in the past, the company has preferred to remain independent since its founding in 1942. Meanwhile, a merger would make for strange bedfellows, since back in 2005, Coach alleged LVMH had used anti-competitive practices by pressuring Japanese department stores to drop Coach. The complaint was thrown out of court. Payback time?